Following on from my post on my desk space I thought it would be fun to talk about really small work spaces. Before Tom and I had moved into our current home we lived in a teeny tiny one bedroom flat in a more central area of Bristol. Although we had a fairly large-ish living room in comparison to the rest of the flat we often thought about setting me up with a wardrobe office after seeing these ones. At the time I was doing a lot of craft projects and saw the below wardrobe make-over from Country Living magazine, isn't it amazing? We actually don't need the space so much anymore and I've stopped crafting and illustrating for the time being but I'm still so tempted to do something like this just for aesthetic reasons! Fitted wardrobes can be such a great space saver and produce some great interior design ideas like these. The above picture is from this fitted wardrobe company in London. love the peg board idea! 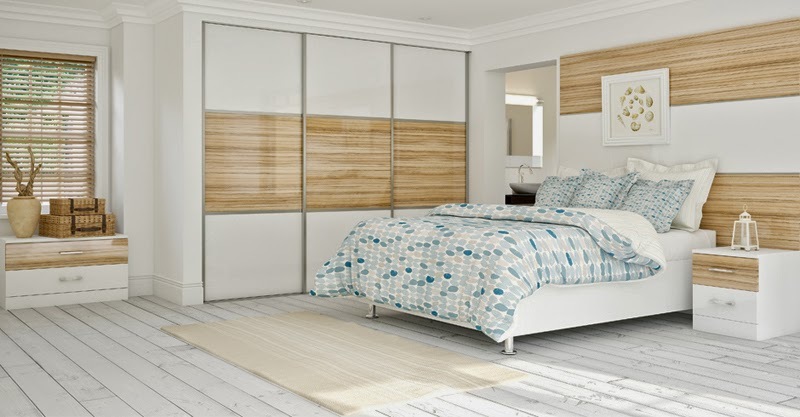 Sliding wardrobes are another way to save a lot of space if you are in need or storage solutions. I love how they really free up the rest of the room to create a really clean living area. You can pick up ideas like this for your home from this sliding wardrobe company. I love that wooden flooring in the image below too. I think it's really interesting that wardrobes are usually thought of as storing clothes in a bedroom but can actually have lots of different uses. I think the dream has always been a walk in wardrobe (ha!) but I love these simple practical ideas for space saving. What is your desk area like? 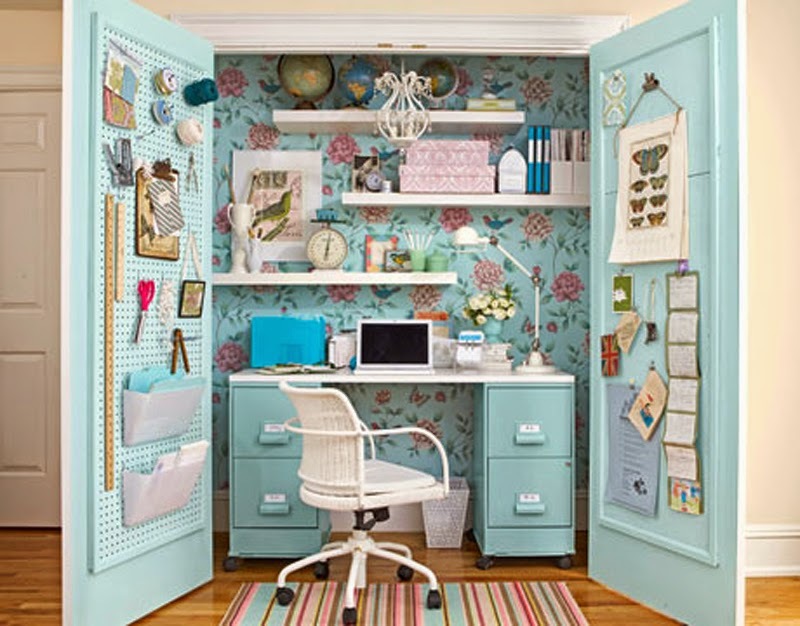 Do you have storage solutions like this to keep your home clear?